We know that recovering from a disastrous storm or unanticipated flood can be a tremendous headache, which is why we're here for you. Our technicians are not only IICRC certified to handle all water affiliated emergencies, but we pride ourselves in providing the quality service and workmanship you expect. Our services cover all degrees of water damage restoration and flooded basement cleanup, from a simple rain to sewage backups, as well as unexpected water heater disasters. We service Roseville, to Macomb, to Southfield, and all surrounding Counties. We service all of Macomb County, and most of Wayne. Understanding that emergencies arise when you least expect it. From Grosse Pointe to Warren, we are on-call 24 hours a day for all types of water emergencies. If left untreated, a flooded area can quickly turn into a cesspool of bacteria and mold producing organisms - which is why it's critical to properly extract water and dry down all affected areas before this happens. Although Flood Kleenup can deal with your insurance company to guarantee a speedy recovery, we understand that not everyone has flood insurance. In your time of need, we're here to provide you with affordable rates to help you on your road to recovery. For more information, please give us a call. Emergency Water Damage control is just one of the services Flood Kleenup Inc offers to its customers. When that hot water heater breaks, pipes burst, sump pump fails, or heavy rains flood your property, we will respond within ONE HOUR to get your property quickly cleaned up and back in prime condition. 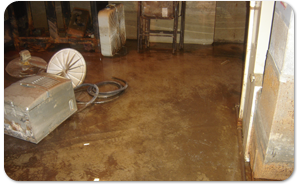 Flood Clean Up provides on-call emergency water damage restoration services 24 hours a day, 7 days a week - year round. We have earned a reputation for speed, integrity, ethics, ambition, and premium customer service. 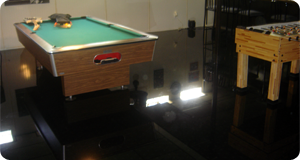 We have the resources, manpower, equipment, and expertise to help you with your water damage and get the job done. Quickly and efficiently. After an incident, you want to restore your life back to normal. Let us help you with your water damage. Have you had a sewer back up, in Detroit, or sump pump failure in Macomb? If there is water in your basement, and it is unfinished, with no porous materials, such as(Carpet, Pad, Drywall, Paneling, Insulation, Card Board, etc.) floor sanitation may be what you need. We will use a truck mounted machine, with a turbo wand. Heated to 200+ degrees, after we extract any standing water. 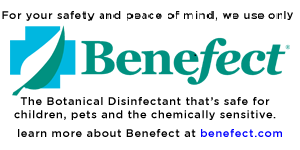 After the floor has been cleaned, we will finish the sanitation by using a product called 'Benefect'. It is an anti-microbial that ensures that no bacteria is left behind.